COMPATIBILITY: Motorola Xoom Tablet Mz600 Mz601 Mz603 Mz604 Mz605 Mz606 P/N mp5632a Ma 89452n 89453n Sjyn0597a Spn5633a Spn5633 and others. Compatible with: Motorola XOOM Tablets. For heavier or larger orders we. Motorola Xoom P/N FMP5632A Tablet. The product details (appearance, label, Plug) may vary due to the different production batches. The manufacturer does not necessarily endorse use of these products. Motorola Xoom MZ604 MZ600 Tablet. The product details (appearance, label, Plug) may vary due to the different production batches. MOTOROLA XOOM MZ606 MZ600 Tablet P. Has IC Chip to Keep Your Tablet from overcharging. Small, lightweight design for convenience, portability, and storage. 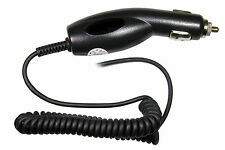 Durable coil cord for extendable reach and use. Motorola Xoom P/N FMP5632A Tablet. The product details (appearance, label, Plug) may vary due to the different production batches. Color: Black. Cable Length: 4ft. 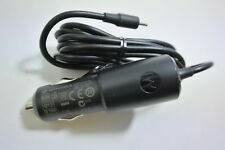 Motorola Xoom 89452N 89453N SJYN0597A. The product details (appearance, label, Plug) may vary due to the different production batches. The manufacturer does not necessarily endorse use of these products. Motorola Xoom 89452N SPN5633A SPN5633. The product details (appearance, label, Plug) may vary due to the different production batches. The manufacturer does not necessarily endorse use of these products. Motorola Xoom MZ604 MZ605 MZ606 Tablet. The product details (appearance, label, Plug) may vary due to the different production batches. Color: Black. Compatible Models Connecter Size: Barrel tip As the pictures shown. MOTOROLA XOOM MZ606 MZ600 Tablet P. Has IC Chip to Keep Your Tablet from overcharging. Small, lightweight design for convenience, portability, and storage. Way cool! k 6 ( 142. Well done Just what I expected. ). Motorola Xoom 4G LTE 3G Wi-Fi MZ601 MZ603 MZ605. The product details (appearance, label, Plug) may vary due to the different production batches. Color: Black. Cable Length: 4ft. Motorola Xoom 89453N SJYN0597A. The product details (appearance, label, Plug) may vary due to the different production batches. The manufacturer does not necessarily endorse use of these products. Motorola Xoom 89452N SPN5633A SPN5633. The product details (appearance, label, Plug) may vary due to the different production batches. Compatible Models Connecter Size: Barrel tip As the pictures shown. Motorola Xoom MZ600 MZ601 MZ602 MZ603. The product details (appearance, label, Plug) may vary due to the different production batches. Color: Black. Compatible Models Connecter Size: Barrel tip As the pictures shown. Motorola Xoom 4G LTE 3G MZ603 MZ604 MZ605 MZ606. The product details (appearance, label, Plug) may vary due to the different production batches. Cable Length: 4ft. Cable Length: 4ft. Motorola Xoom Tablet. The product details (appearance, label, Plug) may vary due to the different production batches. Motorola Xoom 4G LTE 3G MZ600 MZ601 MZ602. The product details (appearance, label, Plug) may vary due to the different production batches. Cable Length: 4ft. For Motorola Xoom Spn5633a Spn5633 Pc-moxoombk. We stand behind our quality products. We always make an effort to keep it upto date. Motorola Xoom Tablet 3G Wi-Fi. The product details (appearance, label, Plug) may vary due to the different production batches. Cable Length: 4ft. 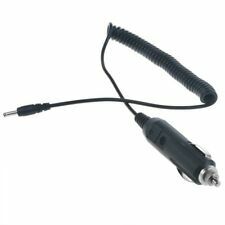 For Motorola Xoom Tablet Motmz604 P/n Fmp5632a. We stand behind our quality products. We always make an effort to keep it upto date. 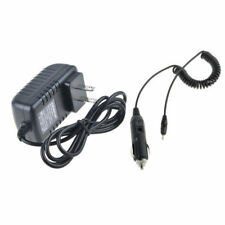 For Motorola Xoom Tablet Mz605 Mz606 Motmz600. We stand behind our quality products. We always make an effort to keep it upto date.